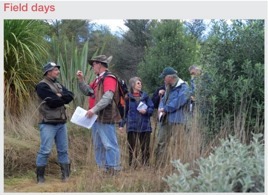 Richard Davies-Colley, New Zealand Tree Grower November 2006. The development of industries using eucalypt timber is still in its infancy in New Zealand. We have only small areas of mixed species, limited knowledge of the product and therefore limited market acceptance. Pulp growers have no problems with marketing their product, but it is a different story for the special purpose solid wood markets. Pulp and chip markets are the major consumer of eucalypt wood fibre, and will remain so for quite some time. This should be seen as a plus for growers aiming at solid wood markets, as the pulp and chip markets provide an outlet for arisings from logging. Two E. fastigata solid timber bench tops by Kings Fourth Generation Woodworking Co Ltd, Carterton. The first processing of a reasonable volume for solid wood was in the 1950s and 1960s at McAlpine’s mill at Oakura, south of New Plymouth. This company sold flooring to the Education Department. The species was E. fastigata, and most of the resource was growing next to the mill. There may also have been some E. obliqua included in the mix. The next attempt of any note was by Senton’s sawmill north of Hamilton, owned by Reg Hanson around 1960 to 1970. Once again the product was tongue and groove flooring but the species were E. saligna and E. botryoides. This venture too was short lived. I expect non-acceptance by the market was the main reason. The furniture firm, Airest, in Auckland were also using small amounts of eucalypt timber around this time. This timber was mostly supplied by Neil Barr from his own trees or from Bartlett’s at Silverdale. The products were excellent but no marketing was done and production ceased. In the early 1990's the New Zealand Hardwood Timber Company was formed. At the same time, what was to become Eucqual Sawmills also started. 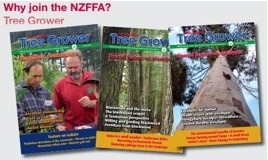 Both firms launched a strong programme promoting New Zealand grown eucalypt timber. These efforts were launched on assumptions made from world statistics on hardwood supply and demand and by the change in law regarding milling indigenous timber in New Zealand. There is a greater volume than ever of hardwood imported now, most of which is on an unsustainable cut. How long this will last is not known. The three groups of importance in New Zealand use are the eastern blue gums, the stringybarks, and the ash group. Most eucalypts have a compression core and tensioned outer wood. When cut longitudinally the ends will bow out. To get straight quarter sawn boards a straightening cut is therefore needed. Quarter sawing gives the best results in terms of stability and low surface checking, and therefore lower rejection rates for quality defects. Eucalypt timber has high density, and this means thick cell walls and, in most cases, low porosity between cells. In the initial stages the drying process is simply to keep the dry temperature bulb within three degrees of the wet temperature bulb – the wet temperature bulb being the lower temperature. This differential can be allowed to rise slowly as the timber dries, but the differential should never be greater than 10 to 12 degrees. Final moisture checks should be taken only from the centre of the board. The wood should be plastic wrapped until used. Even so it will reabsorb moisture and should be checked carefully prior to use. Each end use requires a different moisture level. Timber for use in flooring, joinery and furniture in buildings with air conditioning must be matched to the humidity setting for that building. Generally timber in air conditioned buildings has a moisture level of between 7.5% and 9.5%. Flooring in average homes should be dried to between 9.5% and 11.5%, whereas community halls and other buildings with large open areas require timber with a moisture level of 11.5% to 13%. Finally, outdoor furniture should have a moisture level of 12% to 15%.